A flyweight matchup pitting two former title contenders against each other is in the works for UFC 229 as Joseph Benavidez is expected to meet Ray Borg on Oct. 6 in Las Vegas. Sources close to the matchup confirmed the news to MMANytt on early Monday morning. The UFC has not announced the matchup and nothing is official until bout agreements have been signed and returned. Assuming the fight is finalized, both Benavidez and Borg will be looking to bounce back from recent losses. Borg suffered a defeat to former flyweight champion Demetrious Johnson and then just as he was preparing to return to action in April he was a victim of Conor McGregor’s rampage through the Barclays Center in Brooklyn. Borg ended up with broken glass in his eye that forced him out of his scheduled bout just a couple of days later. Now the New Mexico native is ready to return to action while getting a marquee fight against one of the top flyweight fighters in the sport. 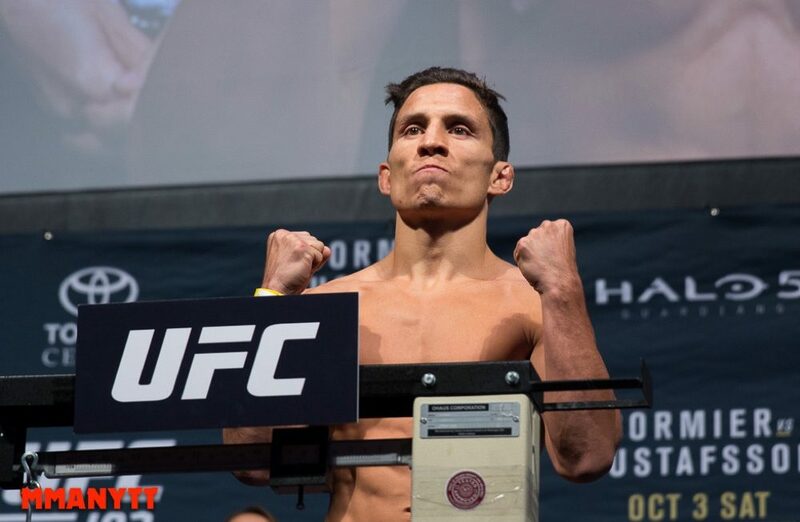 Benavidez is getting back into the Octagon for the first time since June when he dropped a hard fought decision to Sergio Pettis after returning from ACL reconstruction surgery in his knee. Prior to that setback, Benavidez had only lost to Johnson on two previous occasions during his flyweight career. Now Benavidez and Borg will look for a statement win to jump back into the title picture with new flyweight champion Henry Cejudo now reigning atop the division. UFC 229 is headlined by what will undoubtedly become the biggest fight of the year as lightweight champion Khabib Nurmagomedov faces Conor McGregor. UPDATE: Benavidez vs. Borg has been made official by the UFC but the fight will now take place at UFC Fight Night from Denver on Nov. 10. There was no reason given for the shift of plans but it’s possible that the move was made for legal reasons. UFC 229 headliner Conor McGregor has a protective order to avoid Borg after the Irishman pled guilty to disorderly conduct after assaulting a bus with several UFC fighter on it back in April. Borg was injured in the melee and pulled from the UFC 223 fight card. As a result, McGregor was issued the order to stay away from Borg.